The opportunity to drive home your next new or pre-owned vehicle from Chevrolet of Naperville could come at an unusual time, when you stop in for service. The Vehicle Upgrade Program at Chevrolet of Naperville offers customers a chance to find a new or pre-owned car, truck or SUV that has a payment equal to or less than what they are paying right now, with the trade-in of their current vehicle. Because of how the current used or pre-owned vehicle market has shaped up for the last few years, a customer has a world of choices in front of them if they take advantage of such golden opportunities. Chevrolet of Naperville Vehicle Upgrade Program management has a lot of latitude to get customers into that new or pre-owned vehicle using the various methods available. There are a few different reasons somebody might be looking to get a new vehicle a little earlier than they normally would. They could simply just be more interested in something else, there could have been a new addition to the family, requiring an immediate upgrade; or they have been experiencing some late onset buyer’s remorse. Some people may find themselves in the odd position of having too many cars and simply need to unload them. There is an option to simply sell your vehicle to Chevrolet of Naperville, though that leaves less room for the customer to take full advantage of the Vehicle Upgrade Program at Chevrolet of Naperville. It is important to remember that the customer is in charge when they are approached with a visit from the vehicle upgrade team. Just because an offer is made or some options are presented, they are under zero obligation to do anything. If somebody is open to making a change or are in possession of a highly sought-after pre-owned vehicle, there are a lot of upside to pulling the trigger on a deal like this. 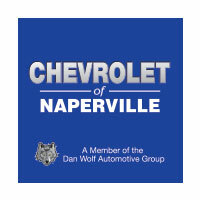 The Vehicle Upgrade Program at Chevrolet of Naperville has been running for a little while and has produced a number of positive reviews and comments from the customers has been overwhelmingly positive. “Now that I’m leasing, I’ll get a new car every few years and never be out of warranty again.”ÂÂ Also, with the new and exciting technology being offered by Chevy cars, trucks and SUVs, the Vehicle Upgrade Program is perfect for the customer that doesn’t want to have to wait to take advantage of it. For more information about the Vehicle Upgrade Program at Chevrolet of Naperville, contact a program associate today.